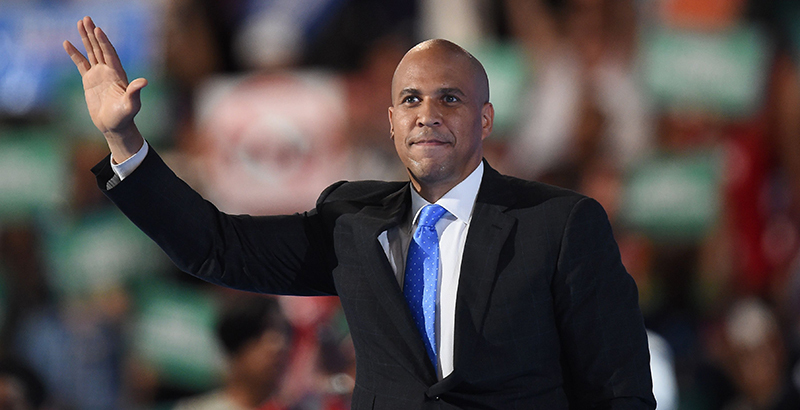 In a Friday announcement that everyone saw coming, Sen. Cory Booker of New Jersey became the 68th Democrat this year to declare their intention to seek the presidency in 2020. All right, we’re not 100% sure on that “68” number, but it will probably be close to that by the time all of these lefties have thrown their hat into the ring. Liberals are wringing their hands about the possibility of a Howard Schultz independent bid, but they may have more to worry about from the wolves within their own party. These Democrats are going to tear each other to shreds in what promises to be a very long, very brutal nomination process. The last man or woman standing could be ripe for the picking when President Trump finally gets his turn. “I believe that we can build a country where no one is forgotten, no one is left behind; where parents can put food on the table; where there are good-paying jobs with good benefits in every neighborhood,” Booker said in a video announcing his candidacy. Not one to miss the moment, Booker made sure to include a “children in cages” remark within the two-minute presentation. It wouldn’t be a good Democrat video without slinging some low-hanging fruit to your rabid base. In a fairly amusing analysis of Booker’s foray into the election, White House counselor Kellyanne Conway noted that if the New Jersey senator had been a Republican, the media’s adoring gaze would be a menacing glare. Well, in the dog-eat-dog, hyperfeminist, intersectional SJW world we live in now, we wouldn’t be surprised if certain corners of the media actually do go in that direction. Yes, they are loathe to criticize a Democrat, but a lot of these freaks are so eaten up by their own idiocy that they’re fully willing to turn on their own people. Now THAT – actual, factual Democrat corruption – is something the mainstream media will never touch.